11 Jan 2019 --- “No single nutrient or compound is a silver bullet,” when it comes to lowering cancer risk and the industry could contribute by promoting healthier products that support good health. This is according to experts from the American Cancer Society (ACS), who have spoken to NutritionInsight in light of the “25 years of steadily declining US cancer rates” milestone that was announced this week. But current diet and physical activity behaviors are likely threatening to derail the progress that’s been made against cancer, the researchers warn. “Nutrition is a key factor in reducing the risk of cancer. We know that nearly one in five cases of cancer in the US is due to excess body weight, physical inactivity, poor diet and alcohol consumption,” says Rebecca Siegel, Scientific Director, Surveillance Research. The ACS report, Cancer Statistics, 2019, was published online in CA: A Cancer Journal for Clinicians and reports how a steady 25-year decline has resulted in a 27 percent drop in the overall cancer death rate in the US. This equates to roughly 3 million fewer cancer deaths between 1991 and 2016. Nutrition undoubtedly plays a key role in cancer prevention, food and beverage marketing practices and product development forming key influencers in public health, the researchers contend. 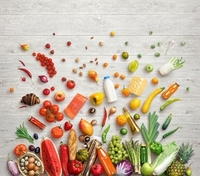 “When it comes to nutrition, studies show that diet patterns high in red and processed meat, starchy foods, refined carbohydrates and sugary drinks are associated with a higher risk of developing cancer, while those with an emphasis on a variety of fresh or frozen fruits and vegetables, whole grains, legumes, and fish or poultry and fewer red and processed meats are associated with lower risk,” says Marji McCollough, Sr Scientific Director, Epidemiology Research. “The food industry can play a role by engaging in responsible marketing practices and developing new products or reformulating current ones to reduce the calories or intake of unhealthy ingredients, like red or processed meat. A greater emphasis on developing products with healthy, whole ingredients and marketing healthier products instead of those with very low nutritional value would be a welcome change,” she adds. According to the report’s predictions, 1,762,450 (1.7 million) new cancer cases and 606,880 cancer deaths will occur in the US in 2019. Of those, approximately 300,000 cancer cases in the US each year are related to modifiable lifestyle factors and could potentially be prevented. “With regard to diet specifically, about 4-5 percent of all cancer cases and deaths can be attributed to poor diet (not including alcohol, which accounts for another 6 percent of cancer cases). One review found that individuals who have the healthiest diet have an 11-24 percent lower risk of cancer death than those with the least healthy diet,” McCollough says. The decline in cancer mortality rates over the past two decades is also the result of steady decreases in smoking and advances in early detection and treatment. This is reflected in the declines for the four major cancers: lung, breast, prostate, and colorectal, according to the report. “Given that overweight and obesity are associated with an increased risk of 13 different types of cancer (and potentially more), and the rate of obesity in the US has been climbing and is currently astoundingly high (38 percent of men and 40 percent of women have obesity), current diet and physical activity behaviors are likely threatening to derail the progress that’s been made against cancer,” warn Siegels. An additional report from the ACS, found that excess body weight was responsible for roughly 4 percent of cancers worldwide in 2012, and that number is likely to rise. The report highlighted that calorific, nutrient-poor food and physically inactive lifestyles are driving up the percentage of overweight people worldwide and promoting noncommunicable diseases, including cancer. By contrast, smoking and infection-related cancers have reached a plateau or decreased in prevalence. Nutrition is also affected by our environments and is of pivotal importance to surround ourselves with healthy options. “We would like to see public policies and changes to our environments that make it easier for people to make healthier choices,” says McCollough. Implementation of nutrition standards in schools is one of the measures she suggests, as well as limits on the marketing of junk food and sugary drinks to kids. Despite the link between poor food choices and cancer risk, in December 2018, the US Department of Agriculture (USDA) amended nutrition rules for school meals established under the Administration of former US president Barack Obama. The controversial move has eased some of the restrictions established by the 2010 act. It means that white bread and low fat, flavored milk are back on the menu across US school cafeterias. “While more awareness of the link between lifestyle factors and cancer risk is certainly needed, for people to be able to take action on that knowledge, environments that are supportive of those behaviors are also needed,” responds Siegel. Public awareness is therefore not enough and policy implementation is crucial and has been proven successful so far. “The tobacco control experience has shown that policy and environmental interventions across national, state and local levels are critical to achieving changes in individual behavior,” McCollough mentions. “Similar efforts to change public policy and environments are needed to facilitate healthier lifestyles and create healthier communities, especially among disadvantaged segments of the population,” she adds. The authors also flag the potential racial and ethnic disparities in cancer. This largely reflects disproportionate poverty, but discrimination may also play a role. “Racial and ethnic minorities tend to receive lower-quality healthcare, even when insurance status, age, severity of disease and health status are similar,” Siegel notes. Focusing more on socioeconomic status, cancer death rates seem to rise proportionately with poverty. “People with lower socioeconomic status (SES) have higher cancer death rates than those with higher SES, regardless of demographic factors such as race and ethnicity,” McCollough notes. People with lower SES are more prone to smoking and obesity, the authors explain, as well as often having limited opportunities for physical exercise and proper nutrition Barriers to healthcare are also an issue which can result in a lack of guidance about the influence of behaviors on health and lower screening rates.